Sloppy Joes go Hawaiian! 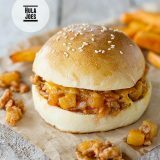 These Hula Joes are made with ground pork, bacon, pineapple and a sweet and savory sauce that will transport you to the tropics. It seems like this time of year, everything is go-go-go. Especially this week before Christmas, with everyone rushing with their last minute purchases and get togethers. So not surprisingly, dinner often gets put on the back-burner, and I think we tend to hit the drive thru more often. But really, why settle for the drive thru when you can have dinner on the table in less than 30 minutes?? OK, so I totally realize that I sound like an advertisement for 30-Minute Meals right there. But at the same time, we all know that I am a fan. Actually, ever since I stopped working, I’ve been able to catch Rachael Ray’s daytime talk show, which is where I actually got this recipe. I love Rachael Ray because most of her recipes are not rocket science. 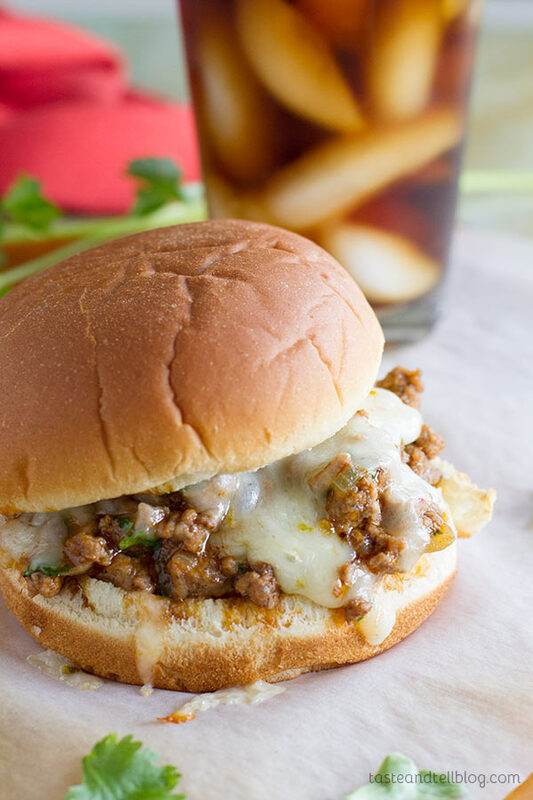 She seems to take regular, every day recipes and put a spin on them, like this version of a sloppy joe. 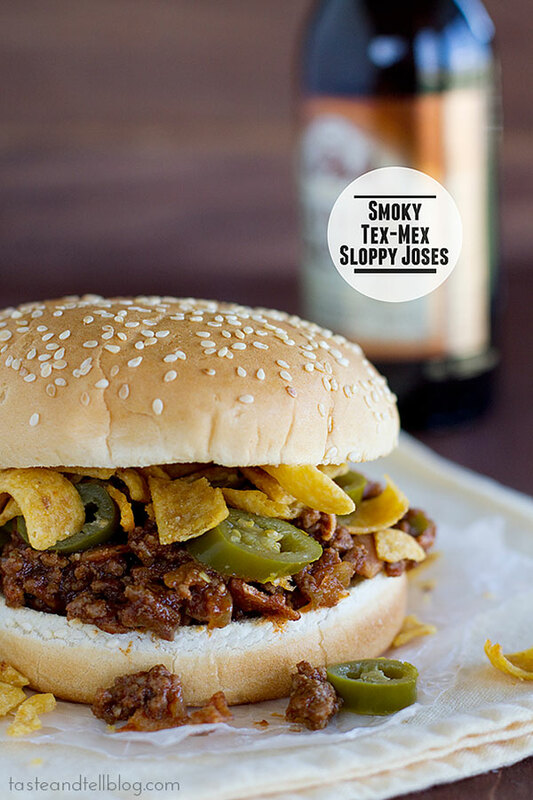 In fact, I know she has quite a few different sloppy joes versions – like the Tango Joes that I have made and posted about before. 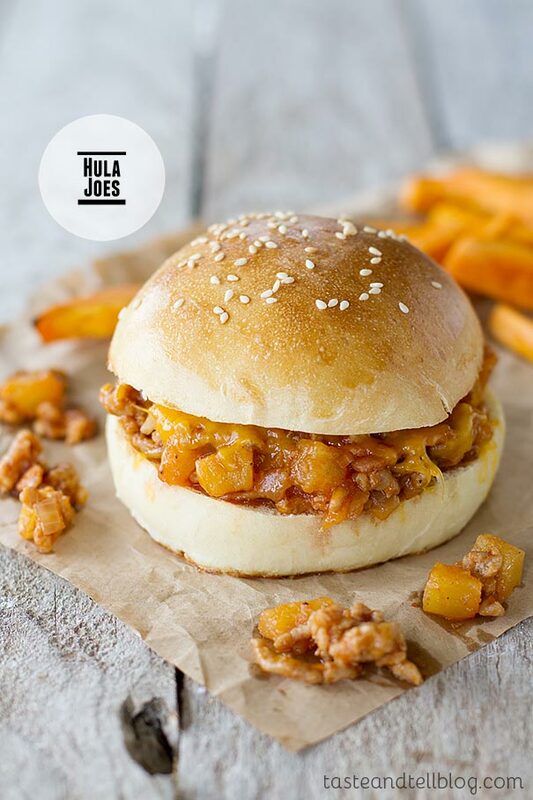 This recipe is on of those spins – taking a sloppy joe and giving it a Hawaiian spin, turning it into these Hula Joes. I usually have a hard time with ground pork because I don’t think it has much flavor, but these were actually quite flavorful. My husband loved them, and deemed them worthy to make again. 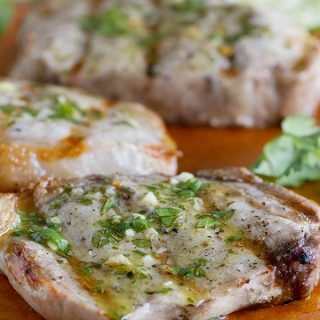 Throw in some oven baked fries, and you have a quick, easy dinner that is something a little different! Heat a large skillet over medium-high heat. Add the bacon and cook until crisp. 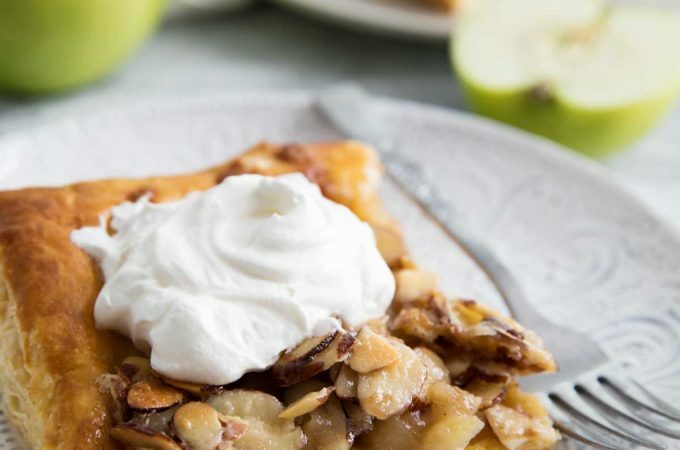 Remove to a paper towel lined plate with a slotted spoon. Return the pan with the bacon grease to the heat. Add the pork and cook, breaking it up with a wooden spoon, until it is browned and cooked through, about 10 minutes. Add the onion and garlic and continue to cook until soft, another 5 minutes. 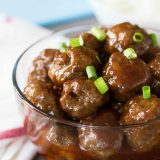 While the pork and onions are cooking, combine the tomato sauce, brown sugar, red wine vinegar and Worcestershire sauce in a bowl. Once the onions are cooked, pour the mixture into the pan with the pork and onions and cook until it reaches your desired consistency. Stir in the pineapple and the bacon. Season to taste with salt and pepper. 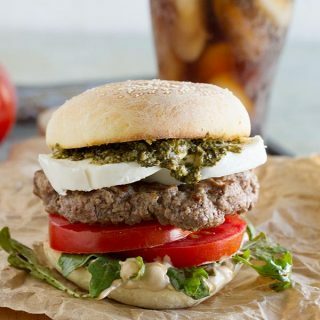 Split the hamburger buns open and toast them in a toaster or under the broiler. To serve, place the bun bottom on a plate and place a scoop of the Hula Joe mixture on top. Sprinkle with 1/4 cup of the cheese and top with the bun top. Sounds like something my honey would say. I like RR well enough though I think she gets crazy with her oddball flavor combos. Too much is sometimes just too much. I like your husband’s tile for RR! Too true! Your meal looks great though!! Thanks for a good recipe! You’re right about this time of year…some nights it’s a bowl of Cheerio’s and hot cocoa! you are a naughty girl making me drool like this! I am sure I would like these but I think Grumpy would growl at me. he he. This sound good and if your husband likes them, why not! 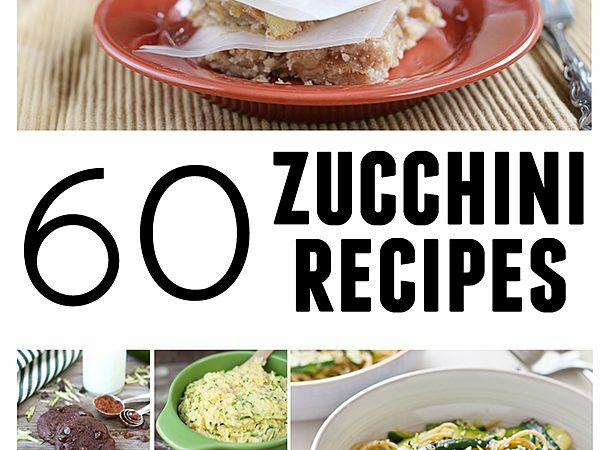 Hey, what’s wrong with taking recipes a putting a new spin on them? 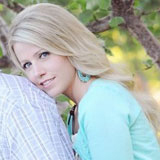 I love RR and I’m glad there is a blogger out there who does too! One of her new-takes on an old recipe that I have been waiting to try is her steakhouse shephard’s pie where the mashed potatoes have bacon and chives and blue cheese!! MMM! I’ll have a “hula joe”! I think these sound fun, and the pineapple flavor would be most welcome to brighten and lighten things up. 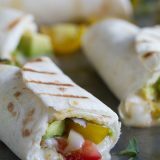 I enjoy RR, especially when she comes up with recipes like this! those sound fun. i love anything with pineapple! Hula Joes – Hmph – you gotta love that Rachel Ray, right?!?! Love it! I think these would be delicious. I like watching Rachael’s 30 Minute Meals, but I’m not a fan of her travel shows. Is her daytime good? It must be pretty good. How funny! I saw the show when she made these and I was curious if they tasted good! Maybe I’ll give them a try! 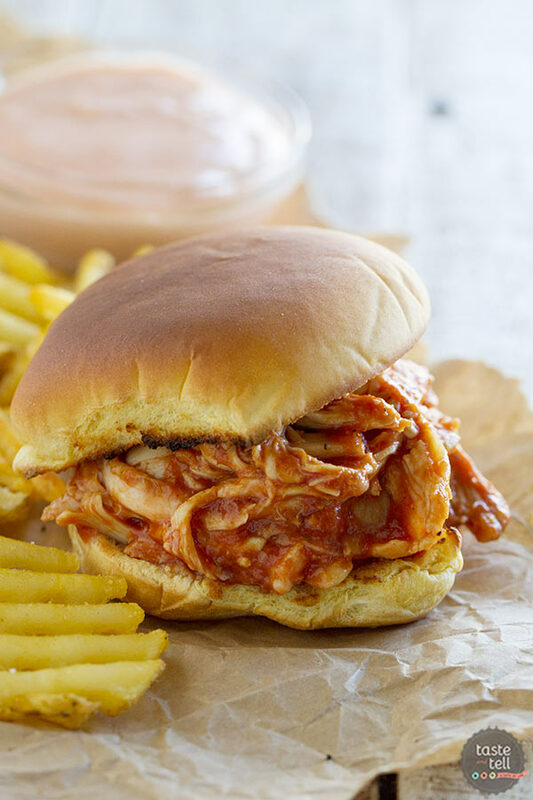 I think I would like my sloppy joe this way much better. I love a good hawaiian pizza too. Sounds pretty tasty! I’ll have to give them a try. Lol I can see where he’d get that title, but I honestly don’t think I could come up with something this tasty! 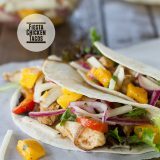 I’m all for quick healthy meals that put fast food to shame, looks tasty with those fries! 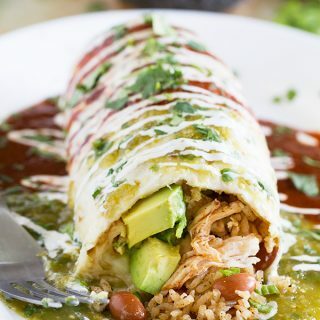 Wow this is perfectly made and must be yummy too. I will give it a try this weekend. Thanks for sharing. These were surprisingly delicious. Thanks for sharing the recipe. I’m so glad you liked them. Thank you!! I think it would! I think turkey doesn’t have quite as much flavor as the pork, but with the sauce, I think it would still be great.